23.12.2011 : Ein hervorragender Service des “Pipe & Lighter Center” – mein Prince PB 207 Torch feuert wieder ! 16.12.2011 : As happens every 13 days : “The Good Life In The Pharmacy” – Enjoy ! 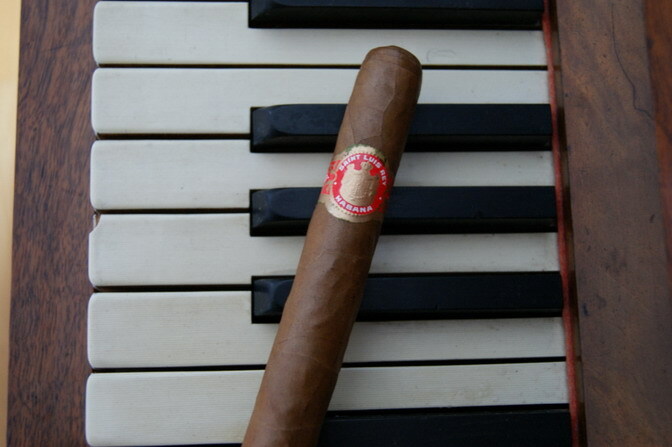 15.12.2011 : The pictures are nicer than the cigar was … ” Sancho Panza Quijote “ review. 15.12.2011 : Some impression from the “Encuentro de Amigos de Partagas” in Havana. 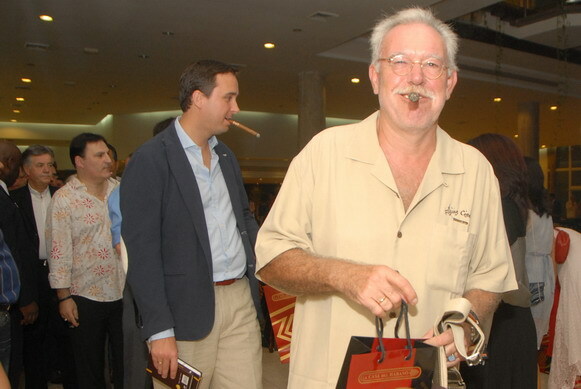 14.12.2011 : Another Work of Art by a friend : “James Suckling – Cigars : The Heart And Soul Of Cuba” – A Documentary. 13.12.2011 : From and by a friend – “Partagas – The Book”. Interested ?? 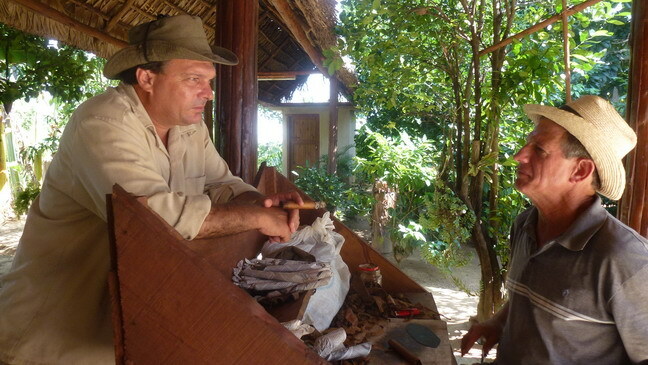 12.12.2011 : One of my most rewarding trips in Cuba : “Visiting Hector Luis Prieto and Miguel” – Will be back ! 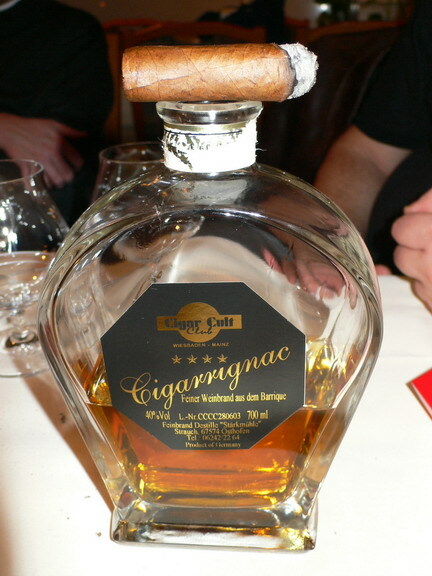 10.12.2011 : We live in a blessed region – “Cigar Dinner Chez RW” – Bon appetit !! 09.12.2011 : Away from the city : “Visiting Hirochi Robaina” – the heir to Don Alejandro. 07.12.2011 : A trip to the countryside : “Viñales and Cueva del Indio”. 07.12.2011 : A highlight of my trip was smoking a “1981 James Fox Centenary Sir Winston” with Rob Fox, Andy Ryan and friends. 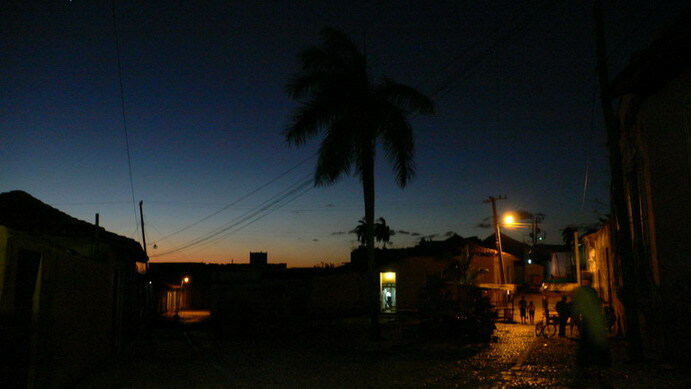 05.12.2011 : My advice is to avoid Hotels in Cuba and stay in “Casas Particulares”– Much better experience ! 05.12.2011 : Eating out in Havana is much better and varied now – “Havana : Paladares And Eating Out – Part One” – Bon appetit. 04.12.2011 : Einige Eindrücke / Some Impressions “Cigar Cult Club Chritsmas Dinner”. 02.12.2011 : Being back home is a great feeling – being “Back In The Pharmacy” is even better …..
02.12.2011 : Old Havana has been renovated in some places and looks quite attractive – “A stroll in old Havana”. 02.12.2011 : A very genuine “Chinese Lunch” in Havana’s Chinatown with friends. 01.12.2011 : A little-known attraction : “Casa Fuster in Jaimanitas” – Lots of tiles and ceramics. 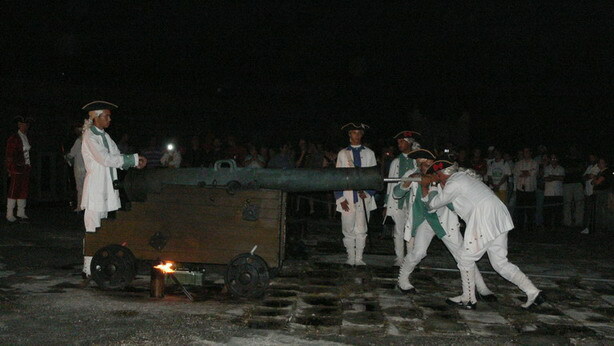 01.12.2011 : One of the tourist sights in Havana : “El Cañonazo At La Cabaña Fortress” – be forewarned, it’s loud ! 30.11. 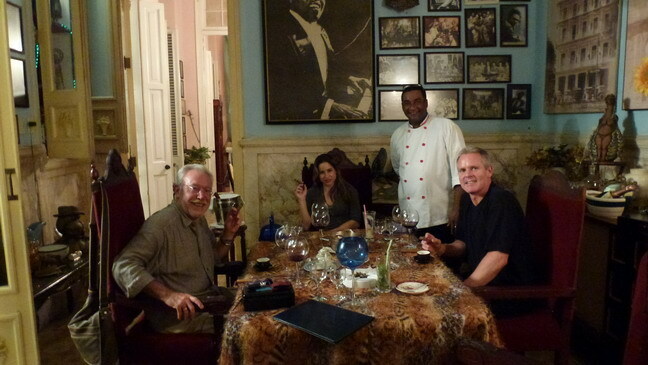 2011 : A fascinating dinner in Havana late October – “Club Amigos Melia Cohiba Dinner” – enjoy ! 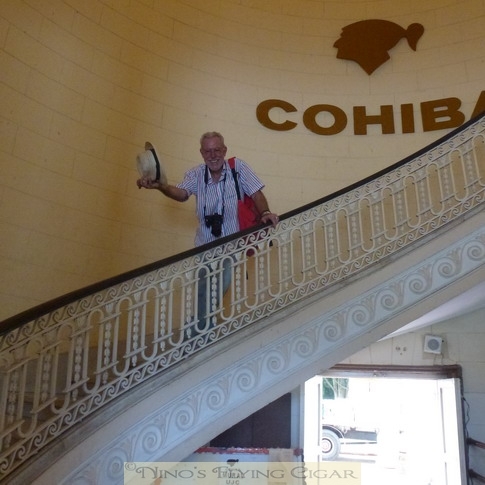 29.11.2011 : Although cigar factories were closed to visitors we managed “A Visit To La Corona”. 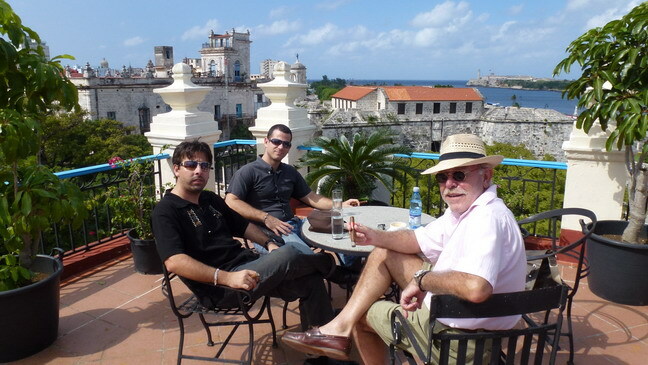 29.11.2011 : In Havana frequently visited the “5-ta y 16 Casa and Carlos Robaina” – good place to eat, smoke and meet friends. 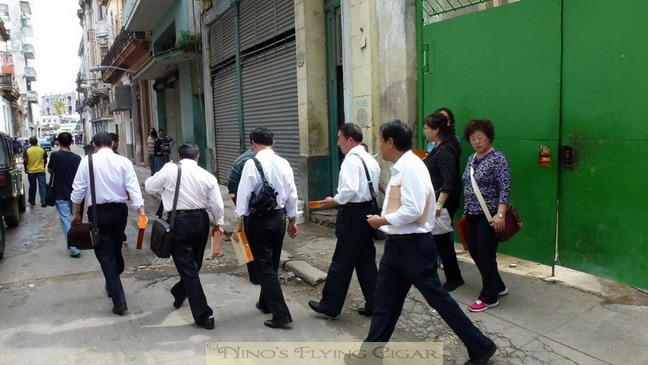 28.11.2011 : Havana : “The first 10 days and a pre-tasting panel”, lots of rain and rum, good food and a “religious” experience with a cigar. 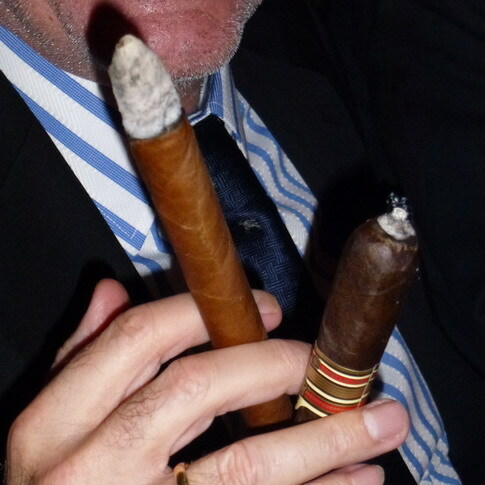 23.11.2011 : After a good lunch, cigars and cold beers “A Fun Cab Ride In Havana” to more cigars and Rum. 23.11.2011 : Might be of interest to collectors and/or visitors “New Releases and Prices in Cuba”. 23.11.2011 : I’m “Back from Cuba” – lots of stories, pictures and impressions after some decompression. 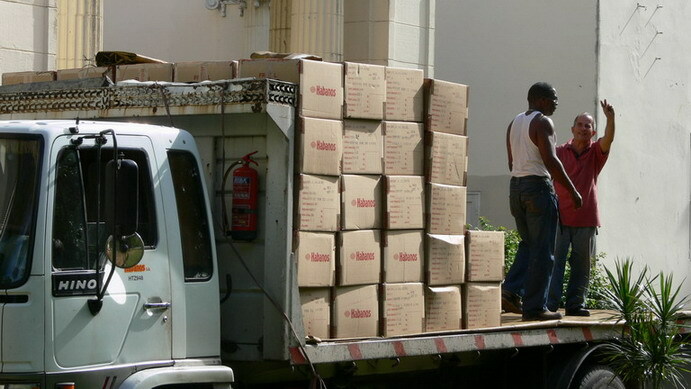 15.10.2011 : Lots of time on my hands so “I’m off to Cuba” again …… next report late November. 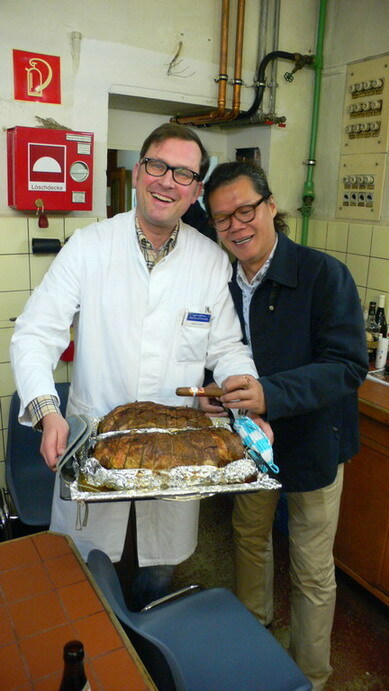 07.10.2011 : This time I smoked with Frank in Belgium : “Belgium : Friends, Cigars, Beers ! !” – what a great little trip !! 04.10.2011 : Ein ausgefülltes Wochenende mit “Rheinhessischen Delikatessen und Holländischen Zigarren” ! 29.09.2011 : A new camera has been added : “New Camera, Old Habits” …. 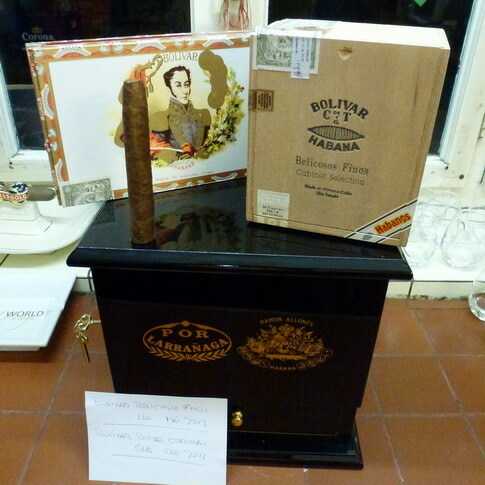 31.08.2011 : Hier der Link und die Einladung zur “Gran Fiesta Aroma de Cuba” des Cigar Clubs unserer Belgischen Freunde. 24.08.2011 : Und hier der letzte Beitrag von unserem gloriosem Wochenende : “Das Grosse ANS-CCC Wochenende – Fotogalerien” – freundlicherweise von Alina, Dieter und Heiko zur Verfügung gestellt. Danke ! 23.08.2011 : Leider hat alles ein Ende – “Das Grosse ANS Wochenende – Der Abschluss” – Bis zum nächsten Mal ! Gute Freunde sind immer willkommen ! 23.08.2011 : Der Höhepunkt des Wochenendes – “Smoke On The Water – Die Rheinfahrt “ – Ein Traum ! 23.08.2011 : Unser traditionelles ANS Wochenende vom 18 bis zum 21.08 – “Der Grosse ANS Freitag” – und weitere Berichte von einem unvergesslichen Ereignis. 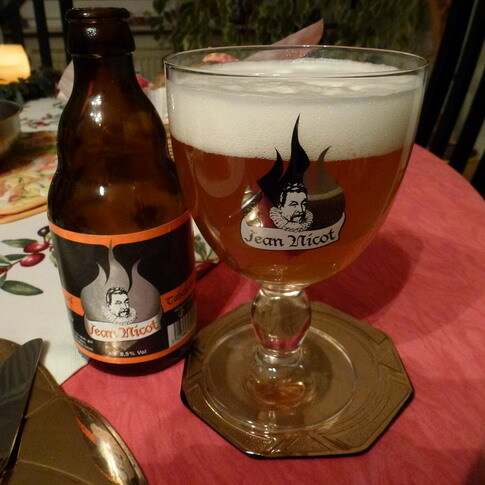 Herzlich Willkommen an unsere Belgischen Zigarrenfreunde Frank und Koen ! 08.08.2011 : Two dinners at Massimo and two fine big sticks “Big Sticks – Small Pics”. 08.08.2011 : Un reportaje en Castellano sobre algo de los mas exotico que pueda haber en el Mundo de los Puros – “Fumar en la Farmacia” – Espero que os guste ! 05.08.2011 : Zwei neue Berichte : meine persönliche Meinung zu politisch-korrektem “Hysterisches Gedröhne” und etwas Schöneres : “Chez Herve Steaks und 1999 Vintage RyJ” . Bon Appetit …. 04.08.2011 : Ein neuer Link ist eingefügt – Alex hat einen sehr schönen und interessanten Blog und der ist es wert besucht zu werden ! www.havanasonly.blogspot.com/ – Viel Spaß !! 10.07.2011 : Einige philosophische Gedanken zu meiner Living Well These : “Living Well Philosophie – Literaturhinweis Robert Pfaller”. 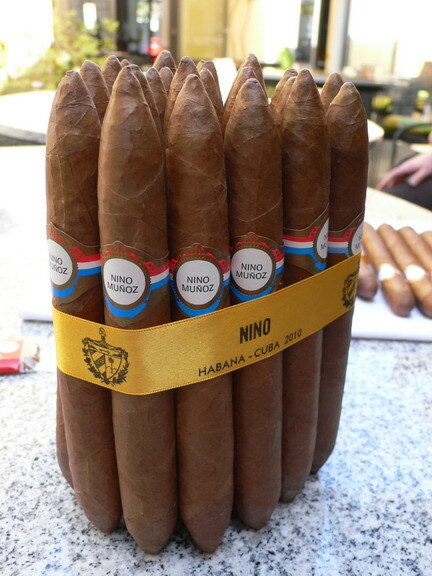 09.07.2011 : The last part of the “Cuba Humidor Photo Gallery”. 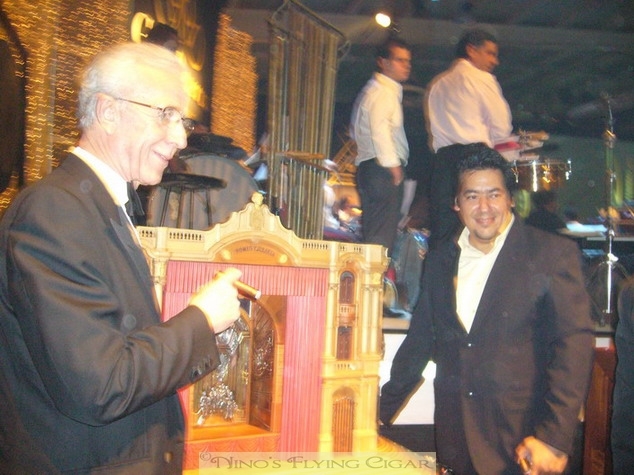 06.07.2011 : Another exclusive picture gallery – “Festival del Habano 2011 Gala – Humidor Gallery” – Enjoy ! 03.07.2011 : Exclusive pictures from a very elusive and famous cigar factory, “El Laguito – Photo Gallery” – start of a series of galleries courtesy of a good friend – Enjoy ! 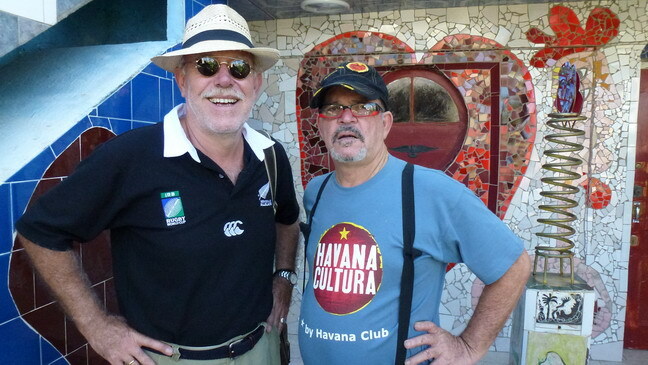 29.06.2011 : A visit to the village pharmacy by two great friends – “Didier Houvenaghel and Thorsten Wolfertz at the pharmacy” – we enjoyed some of the best Non-Cuban cigars around – Gracias hermano ! 16.06.2011 : Und wieder daheim gab’s ein schönes “ANS mit Champagner & Pizza” – Gut hat’s geschmeckt ! 14.06.2011 : Wieder mal “On the road in Europe” – diesmal ” Wachau in Österreich und am Balaton See in Ungarn”. 31.05.2011 : I had the chance to photograph some fake boxes – “Fakes everywhere – Picture Gallery”. 30.05.2011 : It’s too hot for words, so “Dark, Rich, Creamy and Tasty” should be enough … Prost ! 22.05.2011 : “Another fine & sunny Friday at the pharmacy” – Enjoy. 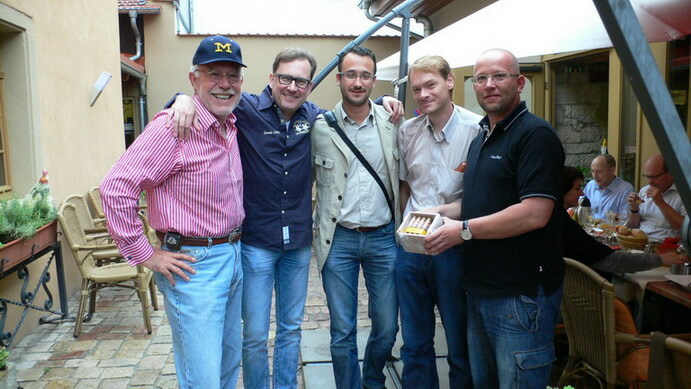 15.05.2011 : A fantastic week-end in the village by a good and welcome friend “Gino In Germania”. 11.05.2011 : Ein kleines Dankeschön an meinem Blog-Freund Robert “Montehiba” und an Min Ron Nee. 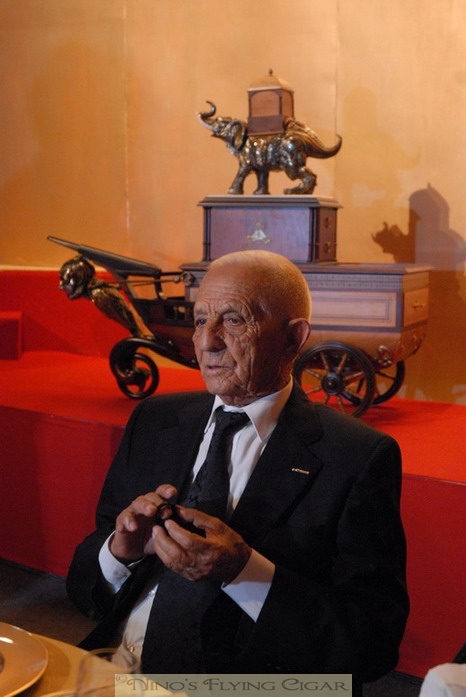 09.05.2011 : Memories again – I had some of my custom rolled cigars banded and found “Rollers, Memories, Bands and Cars”. See why. 08.05.2011 : Today is Mother’s Day in Germany – Time to reflect and give back a bit for all the love we receive. 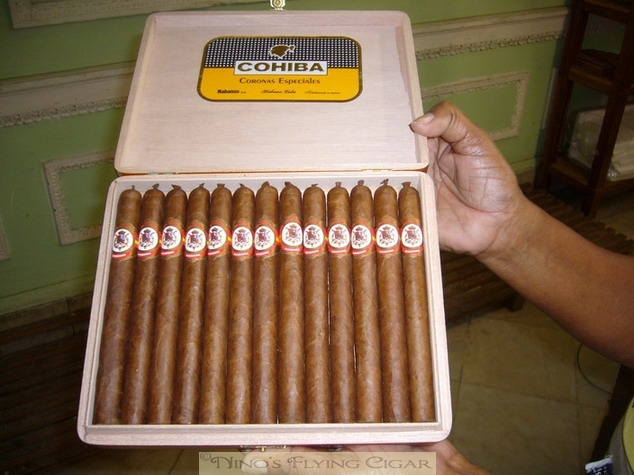 05.05.2011 : How many of you have fallen into this trap : “Fakes, Fakes everywhere … “ – well, we have, last Sunday we smoked non-existing “Cohiba EL 2005 Sublimes” ……..
03.05.2011 : Sunday, 1-st of May, Sunny, warm and 7 hours of BBQ, Drinks and Cigars with our wives – “Truly a Sunday Supreme”, Enjoy !! 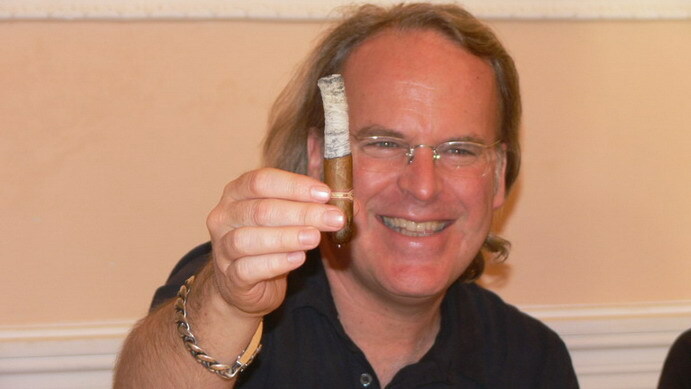 27.04.2011 : Enjoying 4 weeks of great sunny hot weather – “Dog Days In April” – good cigars, good books, good BBQ’s and great pharmacy smokes – Enjoy ! organisiert von Thorsten Wolfertz – Wir sehen uns dort ! It was a great time – Thanks !! 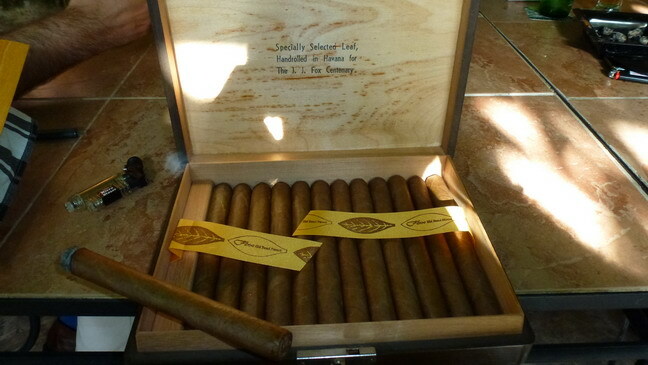 16.03.2011 : A gallery of the cigars we smoke, the people we met and the fun we had in“La Habana – Cigars and People”. And now for something completely different : “Baseball Game Rollers vs Merchants – Cigar Bowl I” – Great fun ! 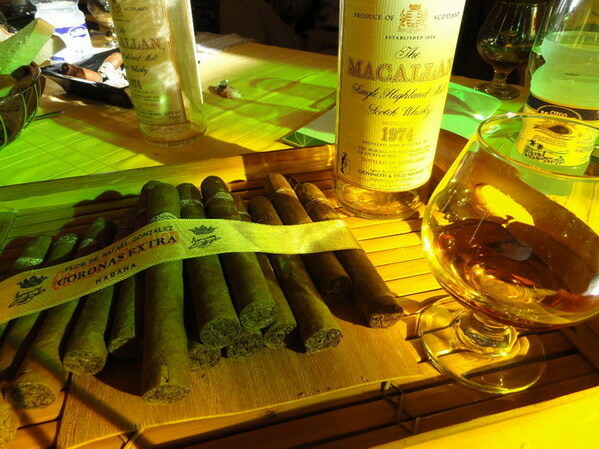 “Private Dinner and 1974 Vintage Cigar and Malt Tasting”. 15.03.2011 : The final two visits during our Cuban tour : “Beautiful Cienfuegos” and the famous “Bay of Pigs”. 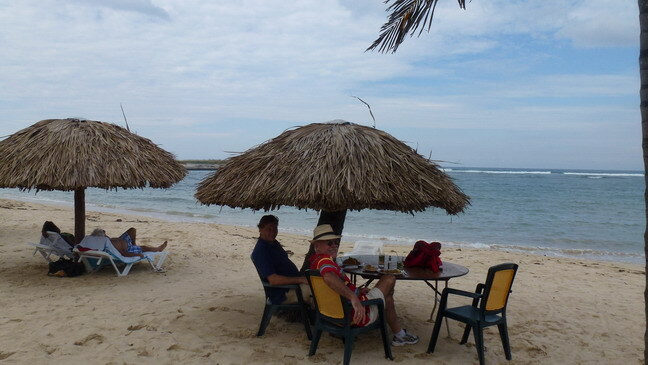 14.03.2011 : Continuing our Cuban trip we stay a few days in “Trinidad, Valle de los Ingenios and visit Torre Iznaga”. Here is an additional“Picture gallery of Valle de los Ingenios and Torre Iznaga”. 13.03.2011 : The tragedy in Japan is heart-wrenching. My throughts and prayers go out to Japan and all people affected by this disaster. 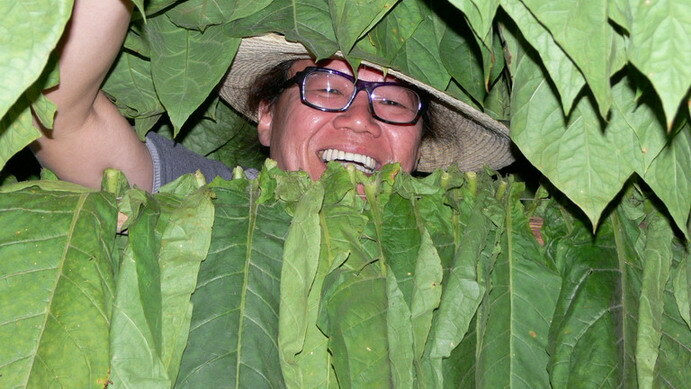 Here is a Message from my friend Nakamura-san from Tokyo. 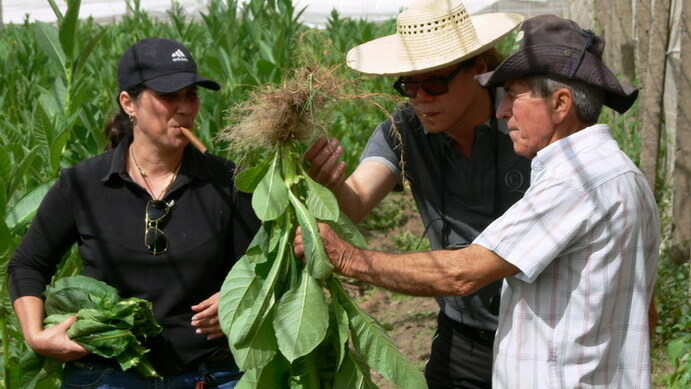 12.03.2011 : We continue our journey – from the “Viñales valley to the Vuelta Abajo visiting Pancho Cuba to the city of Trinidad” – a very interesting visit to tobacco leaves and curing barns. 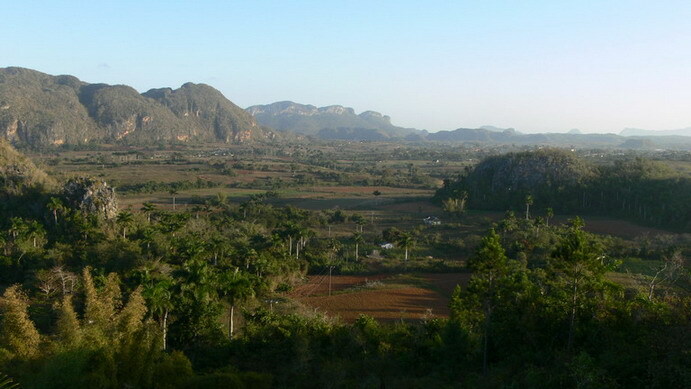 11.03.2011 : Still in the Viñales valley, we experience a magical, almost religious moment “Sunrise over the Viñales valley”. 09.03.2011 : A brief report on our first two days in Cuba “Cuba 2011 – La Habana to Hotel Moka”. Enjoy my birthday party at El Laguito and the lobster at El Templete :-)) ! 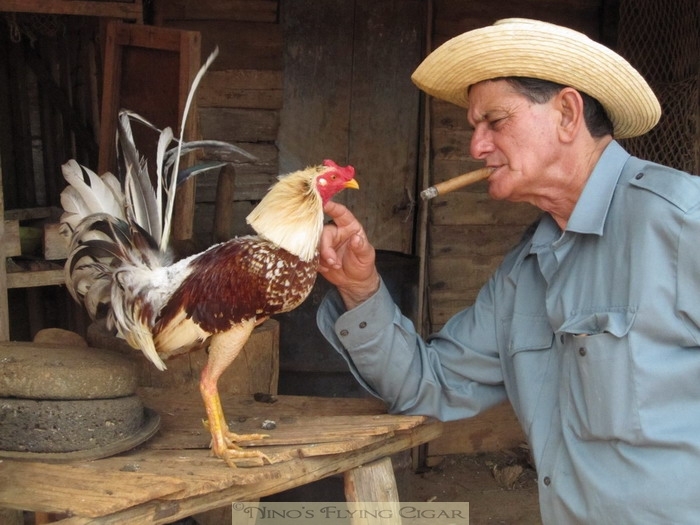 Here is an “Introduction and Picture Gallery – Cuba 2011” – more reports will follow this coming week. 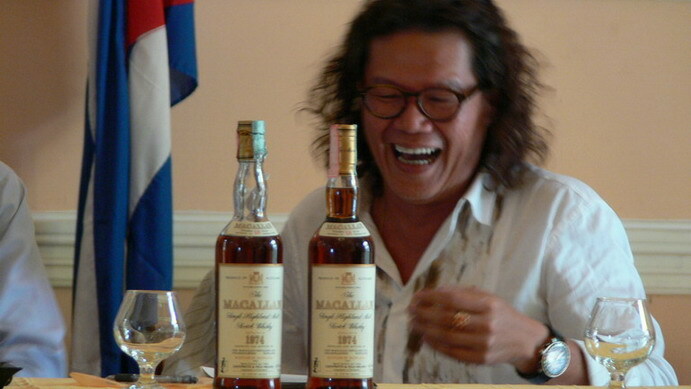 My deepest appreciation to Jimmy Ng and our Cuban friends ! 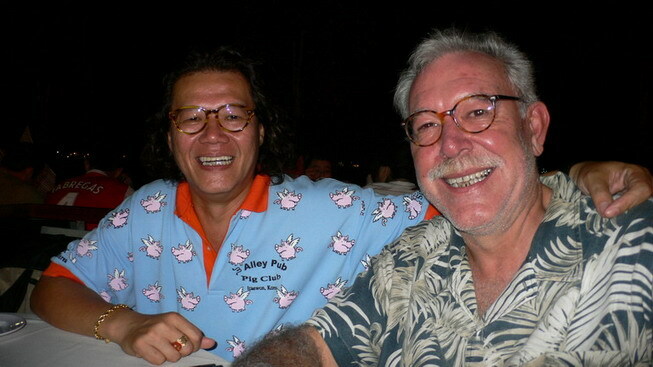 February 2011 : My good friend Jimmy from Singapore and I, are off to Cuba to enjoy 2 weeks touring the plantations, visiting places and meeting international friends in Havana gathered there for the Festival del Habano. There will be an exclusive vintage tasting organized by Alex Iapichino and hosted by Jimmy as well as nice dinners with friends and interesting people as always. Looking forward to this exciting trip ! 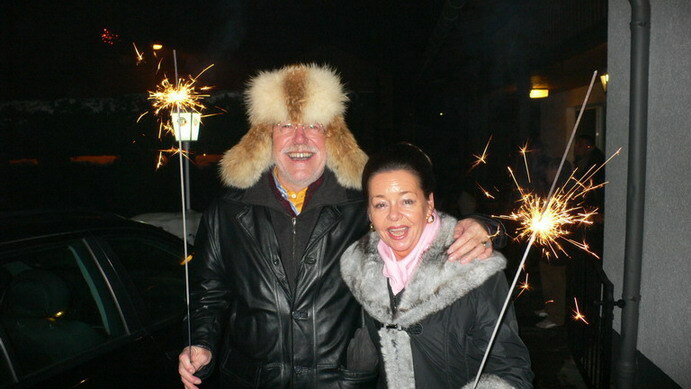 08.02.2011 : Aus Wien kam ein Überraschungspackerl – gestern Abend wurde es genossen “Sachertorte und Eiswein” – Danke an Robert für diese feine Geste ! 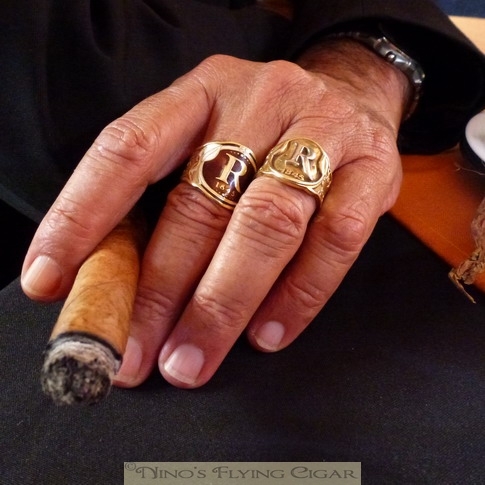 06.02.2011 : Here is one of the best – if not THE best – cigar reviews I’ve read so far “Arild’s Review – Saint Luis Rey DC And Myself” – a truly fascinating personal journey in cigars. Enjoy !! 03.02.2011 : Might be the start of a new series “Andreas and Nino Smoking … LGC Immensos” – In any case, it was just the last episode of a tradition we share, quietly smoking in the office and sharing a good time. 24.01.2011 : Just received this mail from a good friend who escaped unharmed from today’s Moscow Airport bombing – “60 Minutes And What Else ??”. 22.01.2011 : Another Friday Fun with Andreas & Bernhard, another fine dinner “Massimo BHK 56 Custom Rolled Dinner”– Thanks Bill. 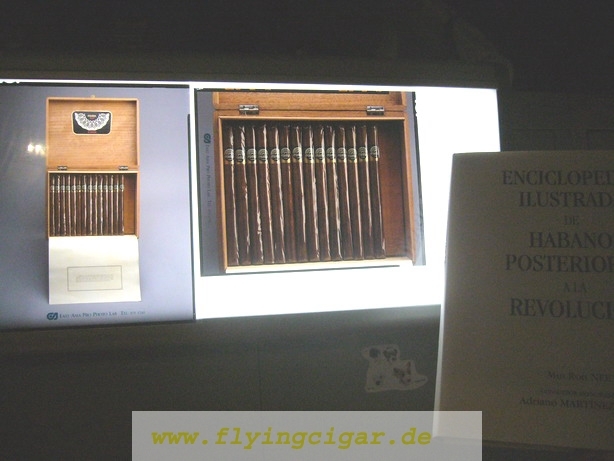 20.01.2011 : Following up on this story –“Update – Min Ron Nee II Edition – Rare Vintage Lanceros” – The box has now been authenticated and photographed in Hong Kong last month. Thank you Min Ron Nee and Hamlet !! 17.01.2011 : I’d like to introduce some “Interesting Asian Blogs” that I have been following over the years and wanted to share. 15.01.2011 : Life is not just pigheads … Massimo cooked a delicious dinner last night “Waygu, Truffles And Noellas” – Buon Appetito ! 10.01.2011 : Our very special tradition : “Eating Pigheads in the rain / Sauköppe im Regen” – good old fun to start the year. 01.01.2011 : A very “Happy New Year 2011 ! !” to all – here’s how we celebrated at Massimo’s.